What Does The Best Bond Cleaning In Sunnybank Cover? Finding and selecting reliable house cleaning in Sunnybank is not easy. The most common questions we get asked by people like yourself have been collated below to assist you in making a smart decision. 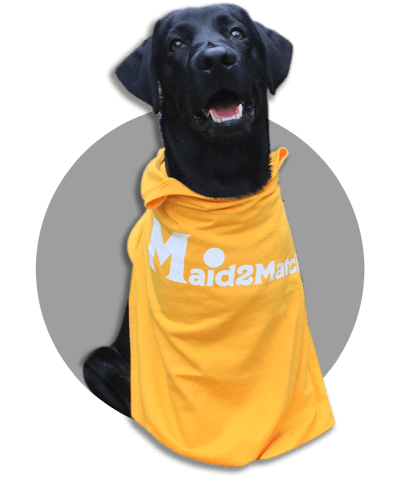 WHY ARE MAID2MATCH SUNNYBANK’S BEST AT VACATE CLEANING? The truth is great bond cleaners possess a different skill set than regular house cleaners and therefore requires specific experience, dedication, and a first-class cleaning checklist. At Maid2Match, we personally vet all our cleaners, after having them complete a three-part application form. We provide extensive support and have crafted the most effective bond cleaning checklist you’ll find. If you are looking for a bond cleaning Brisbane be sure to contact us today. Located 16 kilometres away from Brisbane CBD, Sunnybank is a Brisbane suburb that has a lot to offer. Its wildlife and landscape are amazing, thanks to its rolling hills terrain. Crossed by Stable Swamp Creek and Bulimba Creek, no wonder vegetation and wildlife thrive here, making Sunnybank a great place for hikers and wildlife photographers. At the beginning of the 20th century, this farming area became more industrialized. The first car manufacturing plant opened here was a General Motors Holden, on Bradman Street. After that, the Commonwealth games were held here in 1982, which put the Queen Elizabeth II Sporting Complex on the map. If you’re passionate about sports, you can visit the Queensland Sport and Athletics Centre whenever you’re in Sunnybank. But what truly distinguishes Sunnybank from the neighbouring suburbs is its Asian influence, considering that this suburb hosts the largest Asian community in Brisbane. The Sunnybank Plaza, Market Square and Sunny Park shopping centres host plenty of South-east Asian shops and restaurants. You can find Chinese, Malaysian, Japanese, Taiwanese, Korean and Vietnamese eateries and provedores here. You can also visit Little Taipei, near the junction of the square to Lewina Street. Here, you can find the huge High Fresh supermarket, that’s like a Mecca for foodies everywhere.